Wayne "Rabbit" Bartholomew "2001 Surf Champion"
From the Gold Coast of Australia, Rabbit was one of the Aussie's that burst into world prominence in the Seventies pioneering professional surfing as we know it today. 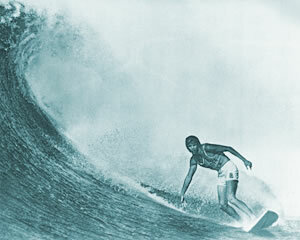 His ferocious attack on Hawaii's North Shore and allover the world lead to his IPS/ASP World Championship in 1978. 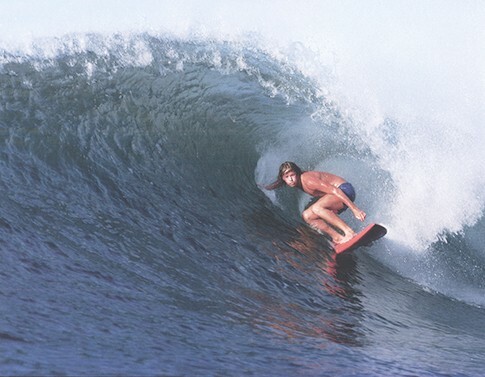 He continued to be one of the world's leading professionals, deep into the 80's and today is the head of the Association of Surfing Professionals (ASP) which is headquartered in his hometown of Coolangatta on the Gold Coast. Rabbit also won the ASP World Masters Championship in France in 1999.